Choosing the perfect neutral paint color isn't easy. The trouble begins when you realize that colors can vary widely once you bring them home, as each room is different due to lighting and existing surfaces. There is also the challenge of choosing just ​one neutral color out of thousands available. Start with an inspiration list of paint colors. Narrowing down your choices early in the game can make finding the perfect neutral color much easier. Revere Pewter is a gray-beige which is a neutral color often referred to as “greige." Greige is one of the most popular neutral paint colors. Benjamin Moore’s Revere Pewter is always at the top of the list when interior designers are asked about their favorite paint colors. It straddles the line between a warm and cool neutral color. Though it is a gray, the gray is warmed by soft brown undertones. Revere Pewter can appear darker on the wall than its color swatch, but its luminous quality makes it suitable for a variety of rooms. It looks its best with crisp white trim and dark wood. Benjamin Moore’s Bradstreet Beige is a warm neutral beige that leans toward taupe. As any good neutral color, its ability to enhance any space while retaining its own style, makes it a great choice for most rooms. 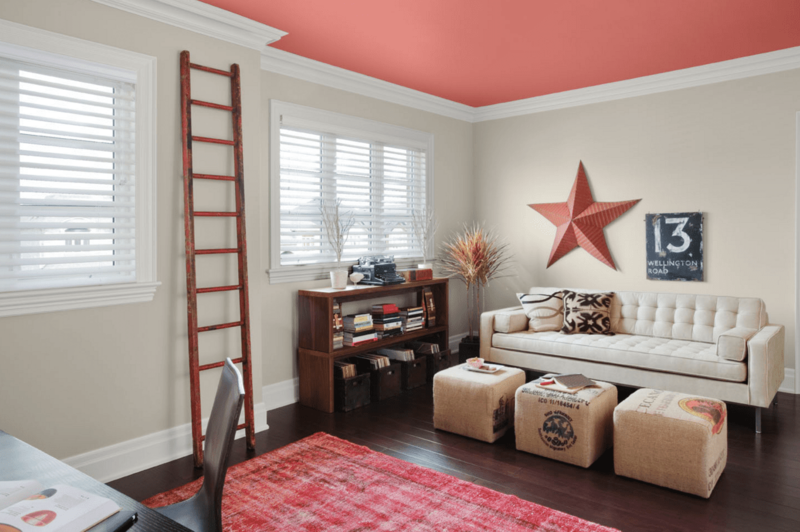 Because Bradstreet Beige is a warm paint color, it's easiest to pair with other warm colors. Cool blue accents look wonderful to a room painted in Bradstreet Beige. Warm beiges and taupes can work with other cool color accents if they are crisp and not too muted. Kelly-Moore Rotunda White is a gorgeous warm white paint. Choosing a white paint can be difficult as white can look gray, yellow or even pink. A warm white like Rotunda White is the perfect choice when you're adding warm color accents. It can also work with cool colors if they’re saturated, and not overly gray. Using a warm white in your color scheme can improve color harmony and warmth. Valspar’s Blue Arrow is a designer-favorite. The color trend for blues has shifted to a very slight green undertone. The baby blue that was popular years ago has been made with green and gray. Blue Arrow makes the best of both of those trends. Depending on the lighting and other surfaces in your home, Valspar Blue Arrow can feel like a rich gray/blue, or a subtle blue/green. Blue Arrow looks great with both dark and medium wood. Valspar’s Churchill Hotel Ecru (also called Savory Beige) is a soft tan paint color that shows just enough color to warm up a room, but not so much as to clash with any existing decor. Though it would seem easy to choose a neutral paint, there are few that feel truly neutral, without obvious undertones that can wreak havoc on your color palette. Churchill Hill Ecru is a wonderful paint color as a backdrop for your furnishings and decor. A neutral tan like this pairs well with most wood and trim colors, and most decorating styles. C2 Greige is that elusive gray beige paint color that can deliver neutral tones without becoming too warm, or too cool. This soft gray paint is luminous, but not cold. C2 Greige is warm enough to use in a room with all shades of wood from light to dark, unlike many grays and beiges. Because C2 Greige is so versatile, it can flow beautifully from room to room with grace. C2 Greige would look stunning with deep chocolate browns, black, or deep gray with warm undertones. As a warm gray, C2 Greige works well with yellow, orange, and other warm colors that are not usually suitable with gray. Sherwin-Williams Filmy Green has the muted quality of a sage green, but with a bit more saturated color and fewer blue undertones. Paired with black and white, Filmy Green has a classic and crisp look. Used in a bath or spa-themed room, Sherwin-Williams Filmy Green creates a misty beach vibe. In addition to a classic combination of black and white, other colors that could work well with Filmy Green include dark brown and darker shades of green from the same color swatch. When you’re looking for the perfect neutral gray paint, Sherwin-Williams Sensible Hue should get the first look. Richer than pale gray but lighter than a charcoal gray, Sensible Hue could be used in a variety of rooms. If you’re looking for a true gray without a hint of beige, you’ll want to sample a cool gray like this. Sensible Hue works well as a neutral wall color, as it can match a variety of stone surfaces in your home. It could be gorgeous with stone or ​solid surface countertops in a kitchen with white or very dark cabinets. The key to finding the perfect neutral is recognizing the underlying color that makes it warm or cool. Neutral colors are not limited to paint color on your walls. They can be used as accents, as backdrops, or even as an entire color scheme.